All offices are open Monday – Friday 7:30 AM to 4:30 PM. Wednesdays we open at 9:30 AM. All branch locations close between 1-2 P.M. daily. 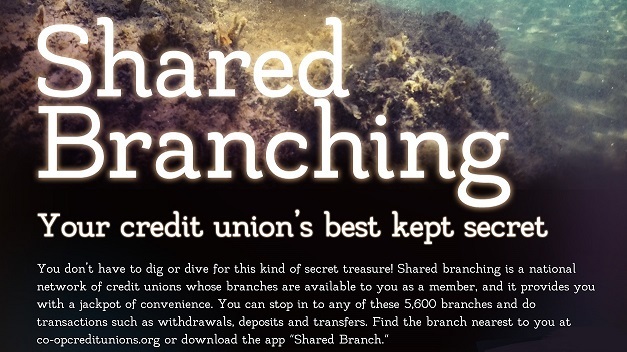 Shared Branch Offices are other credit unions you can use to do transactions on your Banner Federal account. You will need your 5 digit account number and a valid ID. Check holds will apply. You can also text your current zip code to 91989 for the closest shared branch facilities and ATM’s. Standard messaging rates may apply, see your carrier for details. Located on the Banner Desert Hospital Campus next to Occupational Health. Located in the West Tower of Banner University Medical Center-Phx Hospital. Located in the Banner Estrella Hospital on the second floor of the Main Entrance. Located in the main lobby.